We have inviting spaces next to the living room where you can gather with a smaller group. 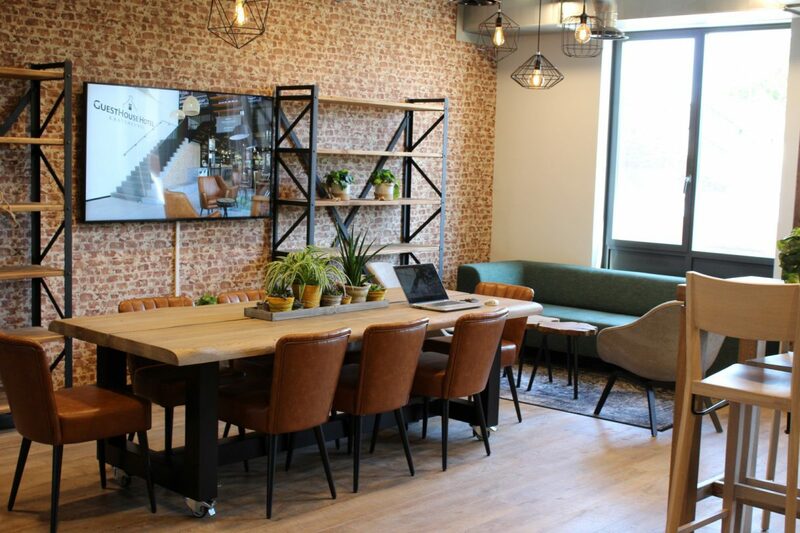 We no longer believe in dusty, boring meeting rooms. 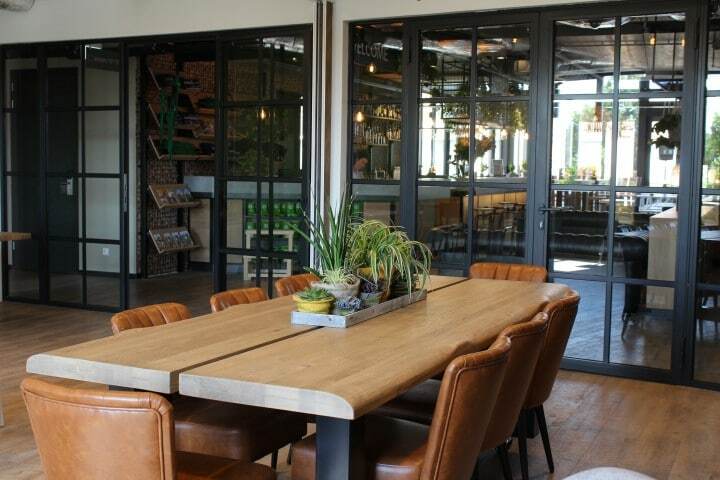 In these beautiful open spaces, you are connected to the environment but you can easily have enough privacy for a private meeting by closing the door. 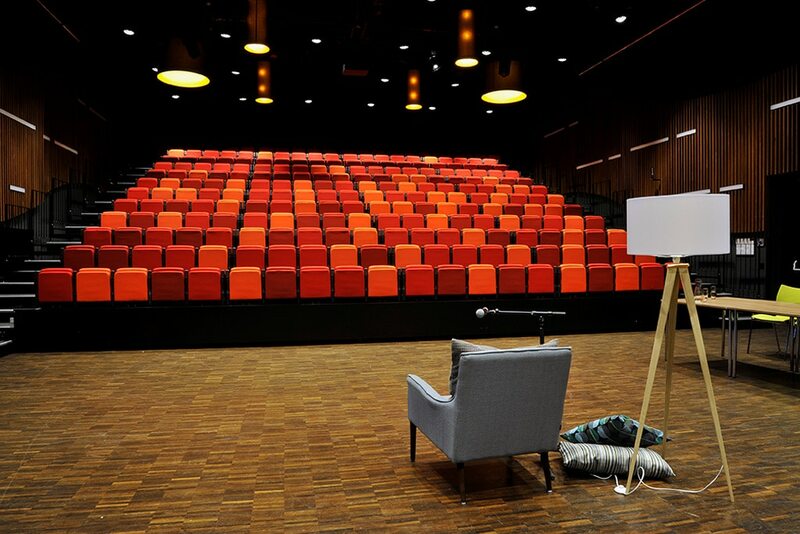 These spaces are extremely suitable for trainings, presentations or team sessions. 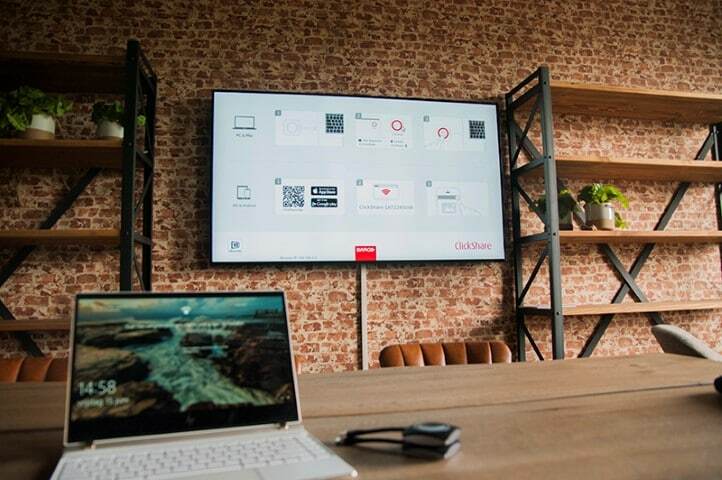 You can of course also make use of our projector, there is great wifi and we provide everyone with drinks and snacks. Want to learn more about hospitality, customer-orientation or customer service? Then book a training course at ooks and discover what true hospitality looks like. 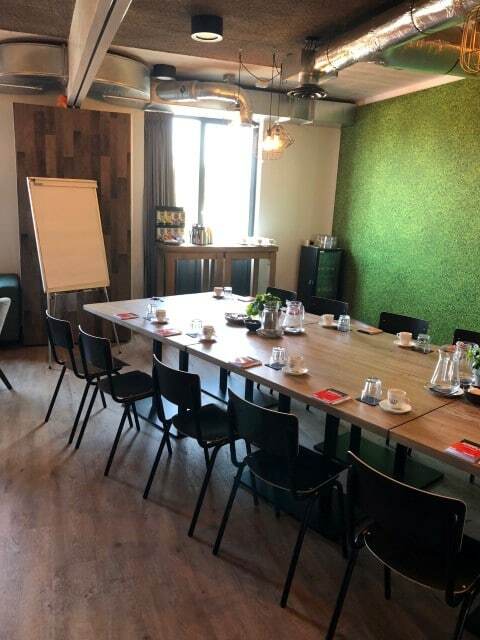 From the training rooms in the guesthouse hotel, you have a perfect view of real life situations and in combination with the adjacent efteling, we can put together great business arrangements. 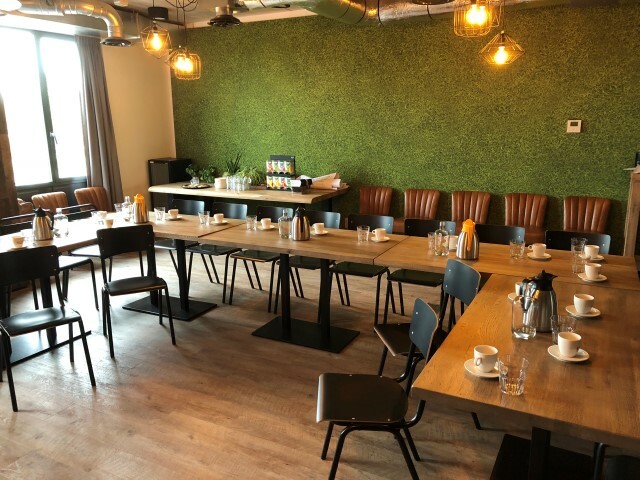 Incidentally, our meeting rooms are arranged in such a way that you can simply read the newspaper, have an informal breakfast meeting together or celebrate a birthday with the family. The rooms are suitable for 12-14 people; 2 spaces can be linked together. This room is suitable for 24 people “seated” and 35 people in a reception setup. Call us for more information! +31 (0)416-273567. We can also organize larger meetings, conferences and events. 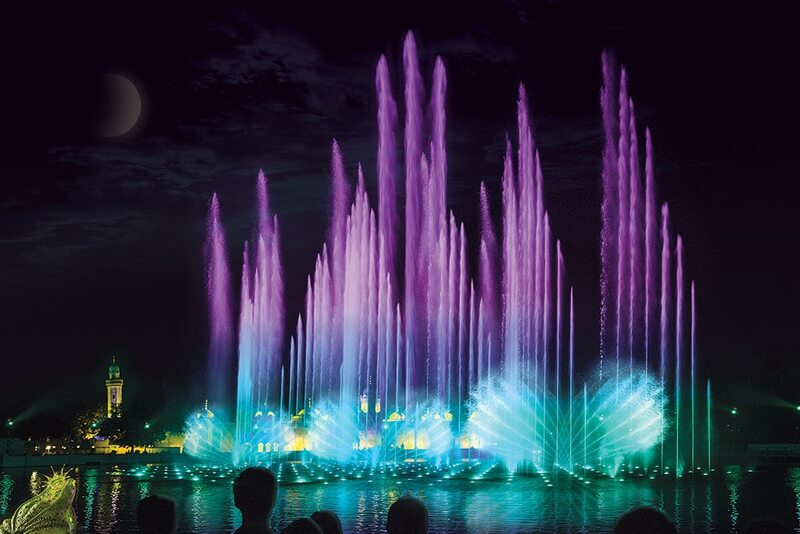 Both in the Efteling and with our cooperation partners Theater the Klavier (at 500 meters) and Experience island (outdoor location) we can put together beautiful programs. 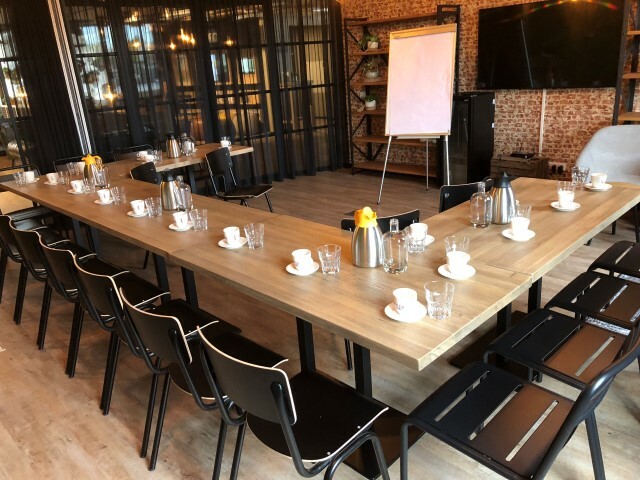 From our hotel you can walk to the Efteling or the intimate theater the Klavier where your party or meeting can take place. 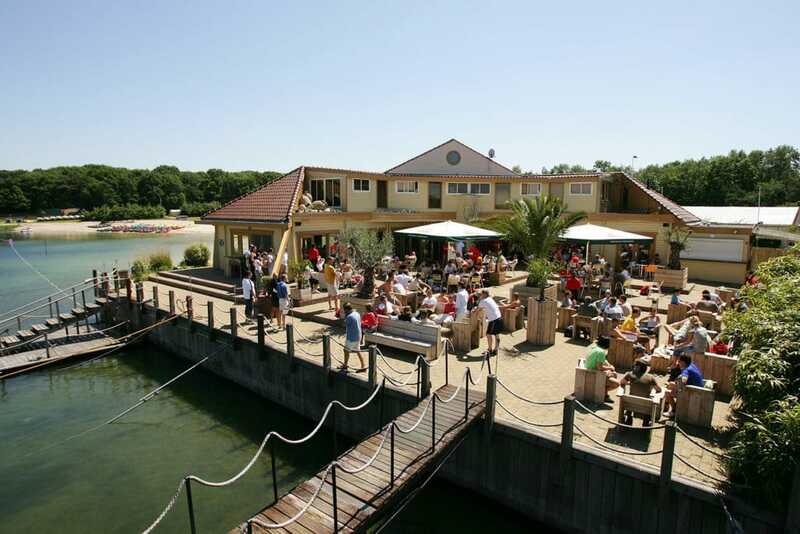 The GuestHouse Hotel Kaatsheuvel is centrally located between all perfect event locations!